They’re incredibly slow to deliver. That’s if it even turns up at all. Games Workshop have terminated their trading relationship effective 23 May 2014, so if you’ve got outstanding GW stuff on order, you won’t be getting it. Rumour also has it that they’re going out of business, but their site is very much still up. 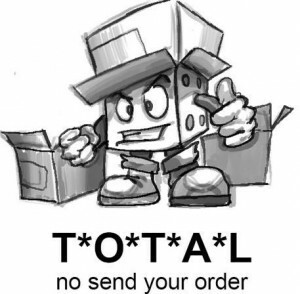 Do not order anything. Of my recent orders the quickest I received delivery was 1 month for some Perry Miniatures metal. The Games Workshop stuff was even slower, or has not turned up at all. After hearing that they were in financial trouble I cancelled my outstanding orders and asked for a refund. The owner agreed immediately, but no refund was forthcoming within the agreed time and I was forced to apply for a chargeback through my bank. The bank refunded the money without quibbling, so this seems to be the way to go. Judging from the testimony of others this kind of dishonest and shoddy behaviour is pretty much par for the course for Total Wargamer, and the fact the Twitter page is locked speaks volumes. It would be wall to wall rage if it wasn’t. The domain totalwargamer.co.uk is registered to a Paul Adkins from Godalming in Surrey, while the business address is in Blackminster, Worcs. Companies House lists Total Wargamer Ltd as “dissolved”. A page exists on Facebook (Total Wargamer Complaints) just for complaining about what a ripoff merchant Paul Adkins is. Armies of people have been venting their spleen on review sites like Trustpilot, who rate Total Wargamer as one star out of five. I would strongly advise against spending any of your hard-earned with Paul Adkins. You may have to pay slightly more, but at least you won’t get ripped off.